Arms lift up and out of the camera’s view. 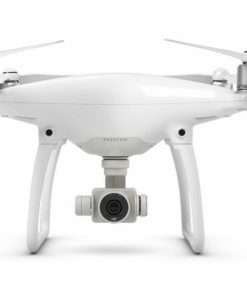 NOTE: upgrade to the new Inspire 2 ($2,999) for longer flight time, a more durable metal chassis and Apple ProRes / CinemaDNG 5.2k compatibility. 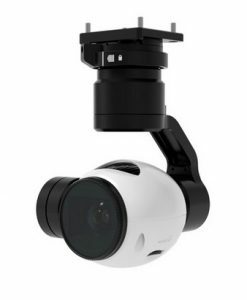 The DJI Inspire 1 V2.0 is a revolutionary HD camera drone that makes it easy for 1- or 2-person teams to produce extremely high quality 4K HD and Micro Four-Thirds video from up to 2 km away. DJI has packed a ton of new technology into the Inspire 1 to improve reliability, safety and video quality. Using DJI’s new PC Ground Station, GPS Autopilot and Advanced Flight Modes, taking great commercial shots now just requires a bit of planning plus one skilled operator on the camera. 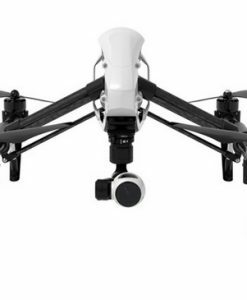 If you’re looking for a ready-to-fly camera drone for professional-quality film making, surveillance, inspection, law enforcement or event coverage, the Inspire 1 is tough to beat at this price. The included XC F350 camera films at 24-30 frames per second at full 4K resolution, or 60 fps at 1080p. The camera is mounted onto DJI’s proprietary Zenmuse X3 gimbal and controlled using a brand-new inertial measurement unit (IMU). If you’re looking for a professional-grade Micro Four Thirds system, DJI also offers the Inspire 1 Pro. It comes with a choice of the Zenmuse X5, ($4,499) or Zenmuse X5R ($7,999). 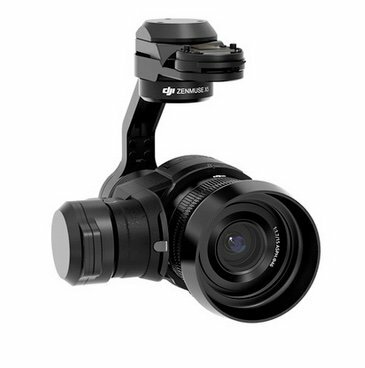 Both cameras offer a full 13 stops of dynamic range and exceptionally wide angle views. 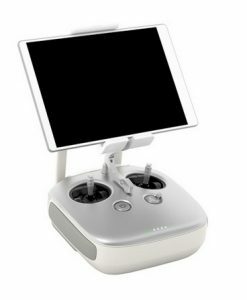 The included DJI Flight Control System is feature-rich and exceptionally easy to use. 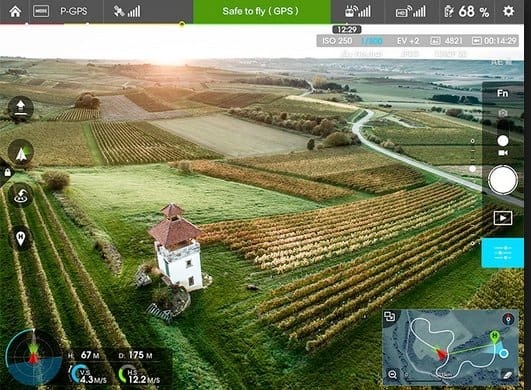 With dual GNSS chips (GPS and GLONASS), satellite acquisition and GPS navigation is more reliable than other purpose-built camera drones. 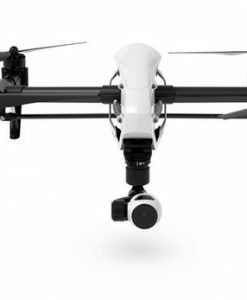 The most striking feature of the DJI Inspire 1 is its 4 moveable carbon fiber lift arms designed to move the propellers out of the camera’s view during filming. The arms retract automatically after takeoff, in a motion that looks a lot like a bird lifting its wings. Just prior to landing, the arms return to their original position. Very cool. 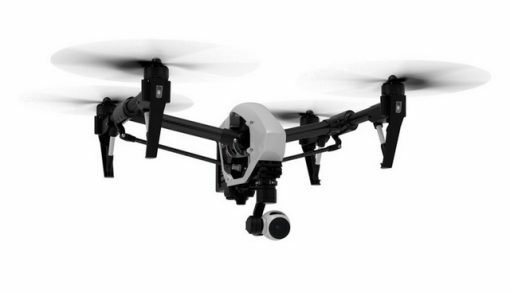 For v2.0, DJI added new quick-release propellers and upgraded motors making maintenance and operation even easier. The Inspire 1’s RC controller accepts any mobile phone or tablet for display and touchscreen control. On the controller itself there are buttons for Return Home, video capture and photo capture, and dials for gimbal tilt and camera positioning. If you’d like to add a second operator, you can purchase an optional HDMI controller/monitor. DJI’s Lightbridge video transmission technology makes it possible to view full HD video on your mobile device while the Inspire 1 operates, up to 2 km away. No other RTF camera drone can do this. 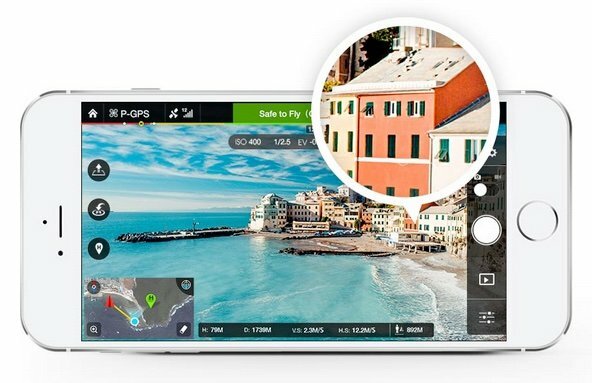 Using a dedicated chip, the DJI Inspire 1 can also navigate without GPS in spaces where satellite signals cannot reach, such as indoors. It does this by using ground-facing sonar and a dedicated camera to monitor the ground’s position with extreme precision. 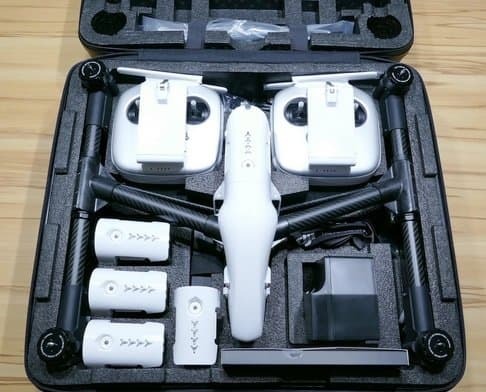 The DJI Inspire 1 also comes with a nicely made transport case that can hold up to two controllers and four battery packs. UPDATE: DJI announced in August, 2015, that Ground Station & Advanced Flight Modes are now available. 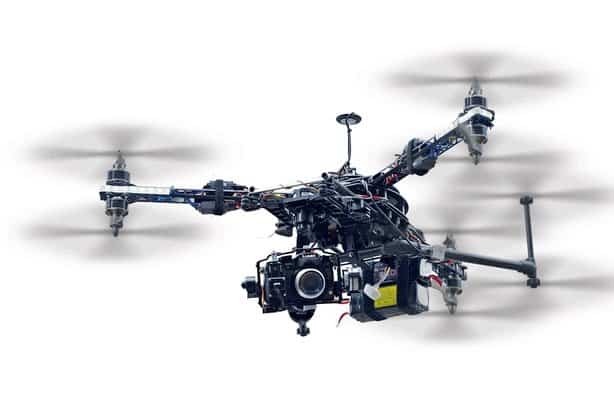 Ready-to-Fly aerial film making and video surveillance drone designed for professionals. 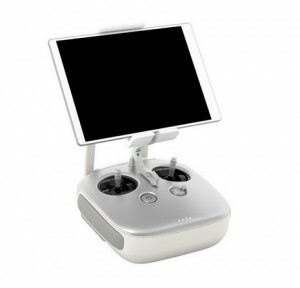 RC Controller displays camera, telemetry and flight path all in one screen. Dual GLONASS + GPS system enables greater precision, redundant tracking and faster satellite acquisition. ADVANCED, READY-TO-FLY DESIGN Imagine holding the future in your hands. 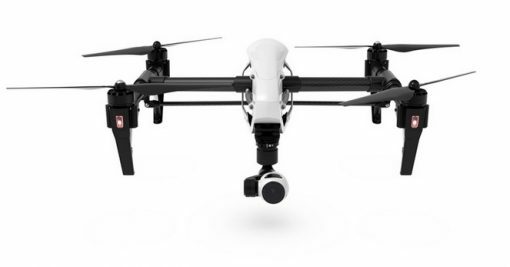 Designed to be powerful while lightweight, flexible while providing the stability you need, the Inspire 1 is DJI’s most advanced complete package. All of the latest aerial technology is packed into one simple, ready-to-fly system, putting you in the sky within minutes. TRANSFORMING DESIGN Strong carbon fiber arms lift out of sight, transforming the way you shoot. Get a full, unrestricted 360° view of the world below and create images like never before. 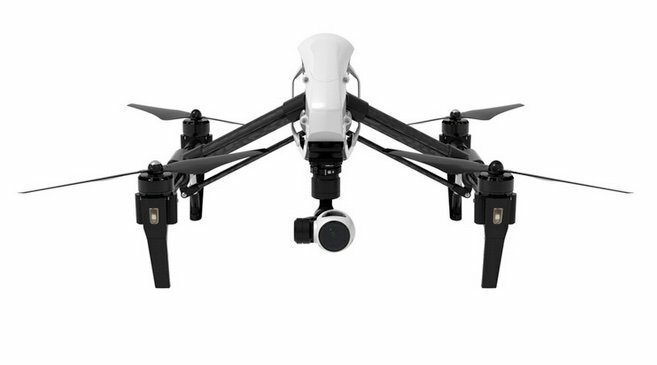 4K CAMERA Shoot up to 4K video and capture 12 megapixel photos with the Inspire 1 camera. The lens consists of 9 elements in 9 groups including an aspherical element producing extreme clarity, while Adobe DNG RAW support gives you the power to make every shot a masterpiece. Everything is better in 4K. 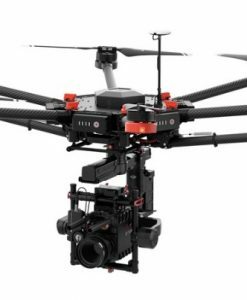 MODULAR, UPGRADEABLE SYSTEM Inspire 1’s gimbal and camera system can be removed from the aircraft for safe transport and future upgrades. 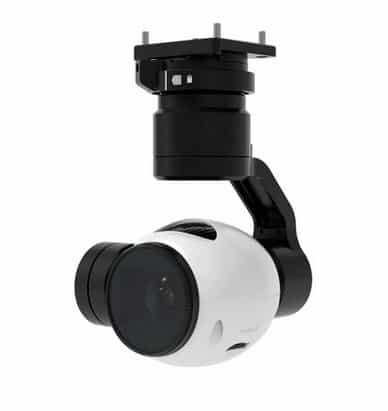 LIVE HD VIEW A real-time feed from your Inspire 1’s camera is displayed in 720p HD on your mobile device giving you a perfect view of what the camera sees to frame your shots. This is made possible by an all new and improved version of DJI's Lightbridge technology which can transmit video from up to 2km away. CREATE TOGETHER For an even greater level of precision, use a second remote controller and fly with a friend. With two operators controlling the same Inspire 1, one person pilots the flight path while the other aims the gimbal and camera. Each user can have their own screen to see exactly what is being shot in real-time. By working in tandem, you’re capturing shots that are more complex and artistic than ever before. FLY INDOORS AND WITHOUT GPS USING VISION POSITIONING SYSTEM Indoor flight has always been a true test of skill for all levels of pilots. 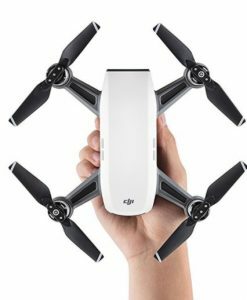 DJI’s new Optical Flow technology uses a specially designed camera as well as sonic waves to bring simplicity to flying indoors. This technology allows the Inspire to hold its position, stop when the controls are released, and respond to your commands even when GPS is unavailable. 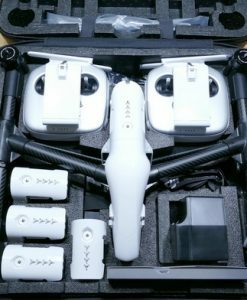 INTELLIGENT POWER MANAGEMENT SYSTEM A fully integrated intelligent battery powers your Inspire 1 and virtually manages itself. 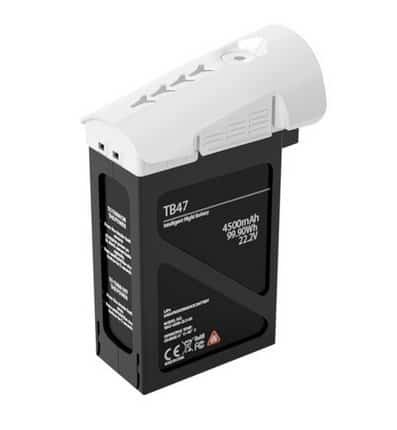 When in flight, your remaining battery power is shown live, letting you know how long you can continue to fly. Advanced algorithms calculate the distance of your aircraft and estimated time to return home, letting you know when it’s time to fly back. 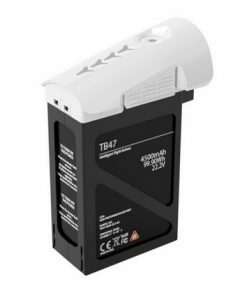 The battery tracks the voltage of each cell, the total lifetime charges and discharges, and the overall health and battery status. All this helps you keep your Inspire 1 in the air and flying for years to come. 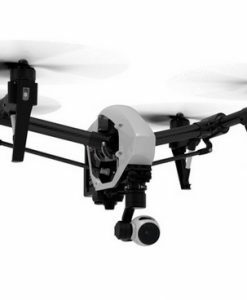 DEDICATED CONTROLS Take absolute control of your Inspire 1 with DJI’s most sophisticated remote controller to date. 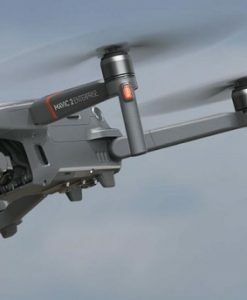 Featuring dedicated buttons for photo and video capture, a gimbal control dial, an integrated rechargeable battery and more, it’s easy and intuitive to fly. The controller has an HDMI and USB port allowing you to connect mobile devices or compatible screens. OPTIONAL DUAL-OPERATOR CONTROL Fly with a friend and share your vision. Achieve shots that never would have been possible alone by using two remote controllers. One person flies, while the other controls the camera. EASY, SAFE FLIGHT Even if you’ve never flown before, taking off and landing your Inspire 1 is easy and safe. 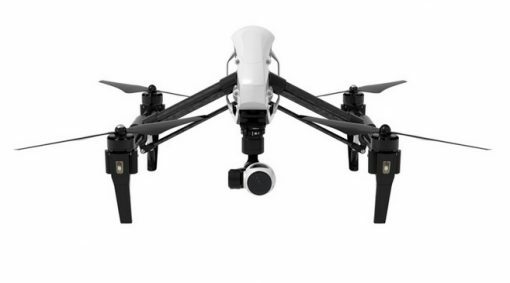 It takes just one tap to make your Inspire 1 takeoff and transform, ready to start filming. Then tap again to have it transform into landing mode and land. 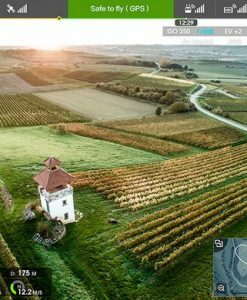 When GPS is available, the Home Point (the location you are standing) automatically refreshes, so your Inspire 1 always knows where you are even if you move around. When you tell it to come back, or in case of an emergency, it knows exactly where to go and land safely. 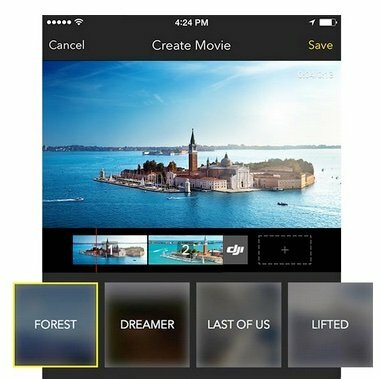 FULL-FEATURED APP Take complete control of your camera and flight system with a comprehensive mobile app. Everything from manual camera controls to flight telemetry and even auto takeoff and landing are just a tap away, with more functions and updates coming soon.